Children ages 6 through 12 can attend one of OCCC’s summer recreation camps, hosted by the Recreation and Fitness department, said Sports Assistant Matthew Wright, who oversees the camps. Wright said children can attend either a morning, afternoon or all-day camp, where they will participate in many physical and recreational activities, such as swimming and playing sports. “They’ll play different games, they may go outside and play some games, they’ll play games in the gym, like a lot of the games they normally play in P.E.,” Wright said. Children who attend a half-day session will be able to go either in the morning from 8 a.m. to noon, or in the afternoon from 1 to 5 p.m.
Wright said participants in the afternoon sessions, including all-day attendees, will be able to participate in swimming lessons for an extra $25 a week. The lessons are limited to 18 participants. The goal of the camps is to give children an avenue to stay active during the summer, while having fun at the same time, Wright said. The camps start Tuesday, May 26, after Memorial Day. The last week of camp is Monday, Aug. 3, through Thursday, Aug. 6. The cost is $110 per week for all-day campers, and $65 per week for half-day campers. Half-day campers will not be provided with lunch, and all-day campers can bring lunch or purchase a lunch ticket from the OCCC cafeteria. Participation is limited to 10 half-day campers in either the morning or afternoon, and 40 all-day campers. 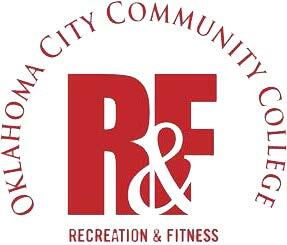 To enroll for the camp or learn more information, contact the Recreation and Fitness department at 405-682-7860.